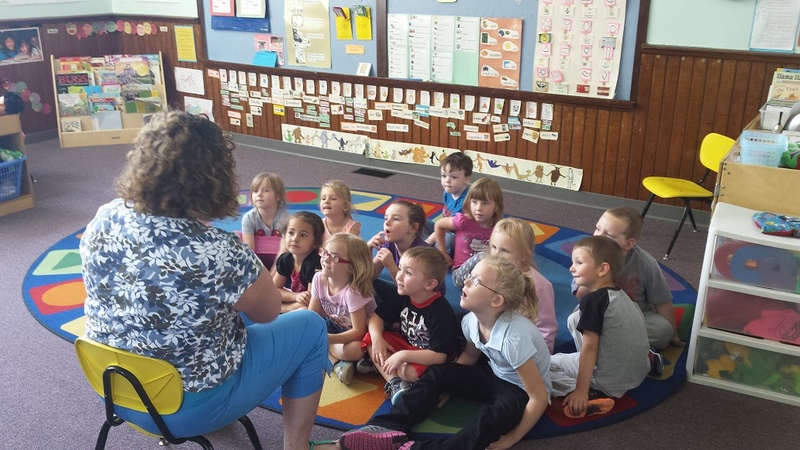 Pinewoods Head Start afternoon class enjoys storytime. OSWEGO, NY – Two hundred and thirty-nine children recently celebrated in each of their classrooms in Oswego County for the national 50th anniversary of Head Start, a program dedicated to giving education, health and parent involvement to low-income families. “Head Start began as a summer program 50 years ago. In 1972, the program transferred to OCO and was originally only in Oswego and Fulton. Over the years, we have expanded quite a bit. We now have three centers located in Fulton, one in Oswego, one in Phoenix, one in Williamstown, one in Cleveland and one in our newest location, Mexico,” said Beth Kazel, director of education services of OCO. Head Start is a program available at no cost to low-income families based on federal income guidelines. It provides a free pre-school program aimed at achieving school readiness for three- and four-year-old children. Head Start supports inclusion and is welcoming of all students, including those with disabilities. “Ten percent of our children have documented disabilities. We like to ensure that we are reaching the whole community,” said Kazel. The children participate in field trips and other special events throughout the year. Parents are strongly encouraged to participate in these and in any other way possible. “We encourage family to be engaged in their children’s education,” Kazel said, emphasizing that parent and family involvement is highly encouraged and supported at Head Start. “A lot of or former parents and current parents, too, are employees of Head Start. Actually, 16% of our staff are former parents of Head Start students,” Kazel said. Head Start employee Donna Fuller has worked with the program for 25 years as of this October. Fuller began her journey with Head Start in 1990 as a parent to her four-year-old son, then a Head Start student. “Head Start provided many opportunities for me to be involved in the program and to take part in my child’s education. I took full advantage of all that was offered to me to be involved,” Fuller said. 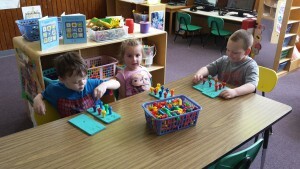 Pinewoods Head Start students play during free play time. From left are: Liam Hopman, Brooklynne Reed and Brandon Stoltz. Fuller began with the opportunity to work as a substitute at Head Start. She then progressed in her career by completing the CDA, Child Development Credential program and was hired for a classroom aid position. A full-time teaching assistant became available for which Fuller applied, and was hired. The opportunity then presented itself to become a lead teacher, so Fuller took the time to compete her associate’s degree. In 2005, she felt the calling to work with parents and families and applied for a family advocate position. She was hired and has worked there ever since. “I jumped at the chance to work for this wonderful program that was doing so much for my child and I. Head Start has been and still is a huge part of my life for most of my life and I am very grateful,” Fuller said. Fuller also acknowledges her son’s beginnings in Head Start have accounted for his success in school and life. “My then 4-year-old son is now 30 and living in Washington State. He graduated high school as a member of the National Honor Society and went on to graduate from college with a business degree,” she said. All Head Start centers throughout the county have organized and conducted an anniversary celebration. “As a program, we will be planning a larger activity for October, which is Head Start Awareness Month,” Kazel said. 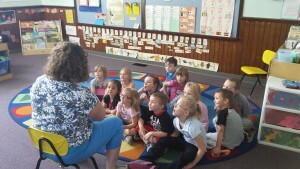 Oswego County Head Start Pre-K is continuing to take applications for next year. Call 598-4711 or visit www.oco.org if you are interested in completing an application. Oswego County Head Start Pre-K is a program of Oswego County Opportunities.